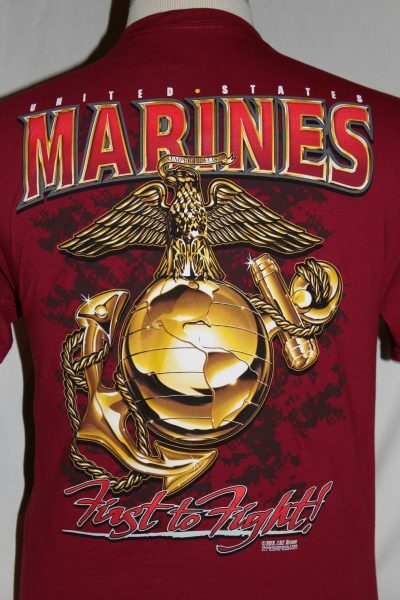 The Eagle Globe & Anchor T-shirt is a two sided print in scarlet. 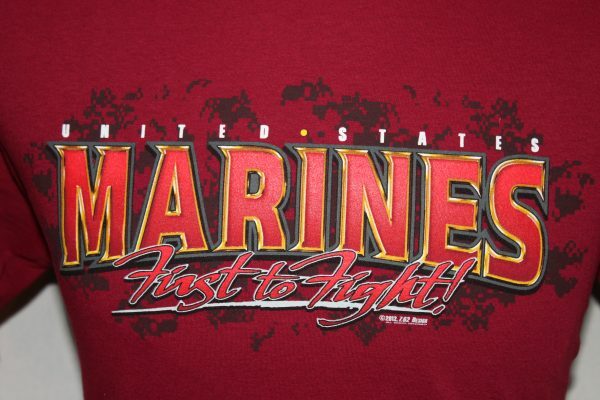 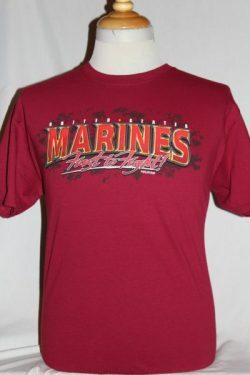 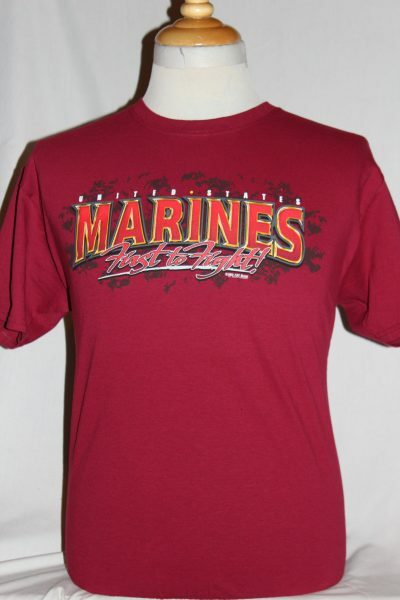 Front Design: US Marines, First To Fight text. 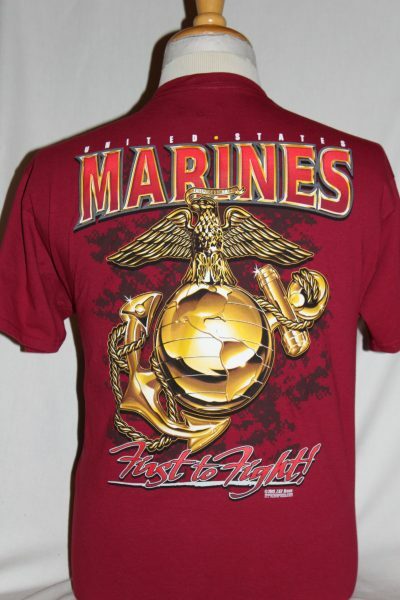 Back Design: Large Globe & Anchor with US Marines First To Fight text.